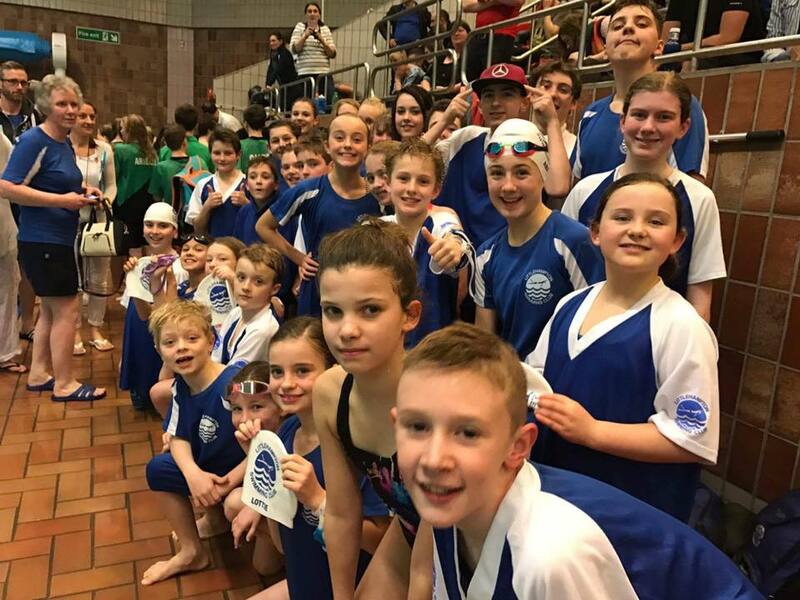 On Saturday a team of 29 swimmers competed for Littlehampton Swimming Club in the Brighton Dolphins B Team Gala, Prince Regent Pool. For many Littlehampton swimmers this was their first team gala! All the children were brilliant. Most swims were PBs, some were huge – Aaron knocked a massive 18 seconds off his 50 fly PB! It was good to see improvement in the diving and to see several children from Guy Squad diving in the shallow end in a gala for the first time. I saw some lovely underwater phases, with one of our younger swimmers Georgia Bridle really standing out with her beautiful streamlining and underwater dolphin kick. This was a development gala, so I never worry about where we finish overall (we finished 6th!). My aim is to give as many children as I can experience of team galas and I look at individual improvement. I could see lots of that, with plenty of future potential shining through. Lewis Cox was great for the younger swimmers to watch with his speed, the only 16 year old we took. All the others in the 14-16yr age group were still only 14. I was so proud of all of the swimmers, several of whom could be seen grinning from ear to ear whilst they were swimming backstroke!! Thank you to our many helpers – Dan Boreham (start end), Will Condron (shallow end relay takeovers), Wendy Frost (time keeper), Jodie Brahams (split times), Oli Cox, Rachael Davis and Gary Grixti (team managers). Many thanks to all our parents for supporting this gala.